Charles, acting as Business Champion, has accompanied Lord Mayor Peter Estlin to San Francisco as they met with a number of financial and digital companies to discuss potential opportunities for the future. The Fintech landscape has truly taken off in recent years, with traditional banking systems rapidly being replaced by more consumer-friendly, agile, and inventive alternatives. “In 2017, there was about $1.6 billion of capital going into the fintech market in the UK in the whole year. But in just the first half of this year, we’ve already seen $2.8 billion of capital going into the fintech market,” the Lord Mayor stated in a speech at a breakfast with Fitzgerald Law as part of the San Francisco delegation on Wednesday morning, December 12th. 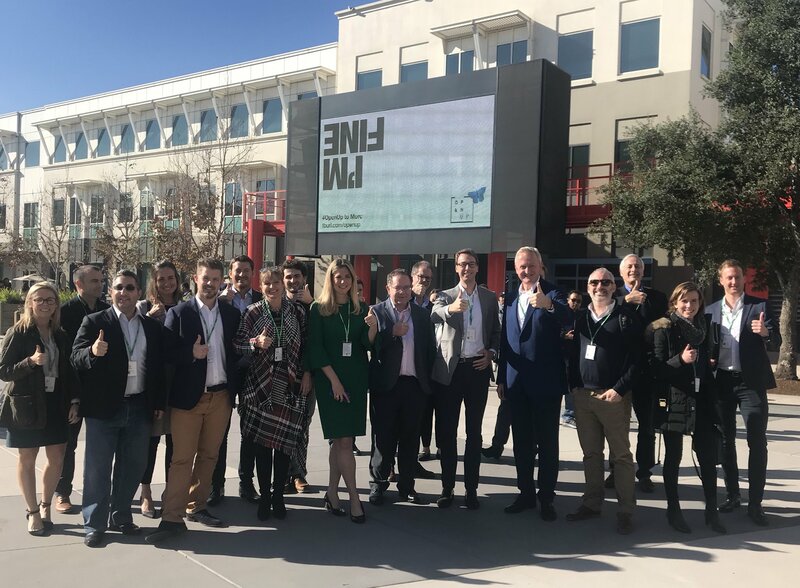 Throughout the trip, members of the delegation focused on the history of the UK as a global trading nation (going back 1100 years), the obvious innovation of technology startups in San Francisco, and the vast potential for collaboration between the two. By combining the pace of change in the US with the UK’s receptiveness to fintech startups through the ease of having a single regulator and a trustworthy environment, the partnership offers economic growth and technological advancement to both markets. The trip also strongly aligns with the Lord Mayor’s mayoral programme ‘Shaping Tomorrow’s City Today’, which emphasises promoting innovation and technology, championing digital skills and addressing digital and social inclusion. The Lord Mayor hopes that forging strong links with the US market will serve to rapidly increase the UK’s fintech and digital opportunities. Speaking at the City of London Digital Skills Summit, held at Mansion House on the 30th November, he said London has “developed and maintained its status as a global hub for digital innovation and digital is set to be at the heart of its future growth and competitiveness”. As part of the trip to San Francisco, Blenheim Chalcot hosted a reception on Tuesday December 11th to champion British digital innovation, in collaboration with the Lord Mayor and GBx. Sixteen firms attended the event, including representatives from Contentive, Hive Learning, Liberis, Modulr, and Salary Finance: all of whom have joined us in recently launching in the US.